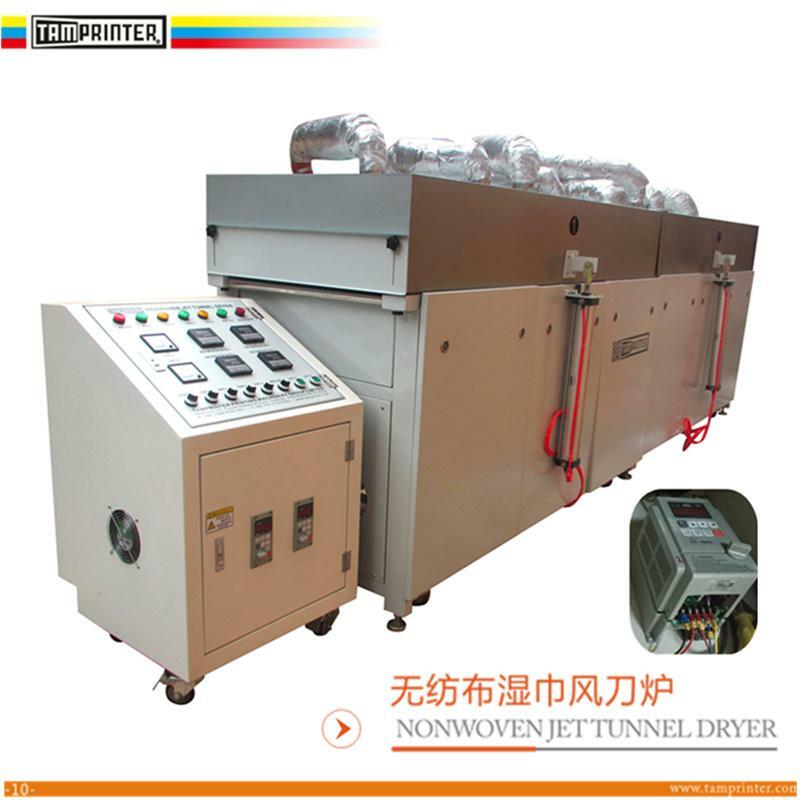 Hot air furnace blowing hot air so that non-woven moisture evaporation. Dry hot stove in the electronics, food, pharmaceutical, printing, packaging, cleaning, heat treatment ... ... the industry has a very wide range of applications. 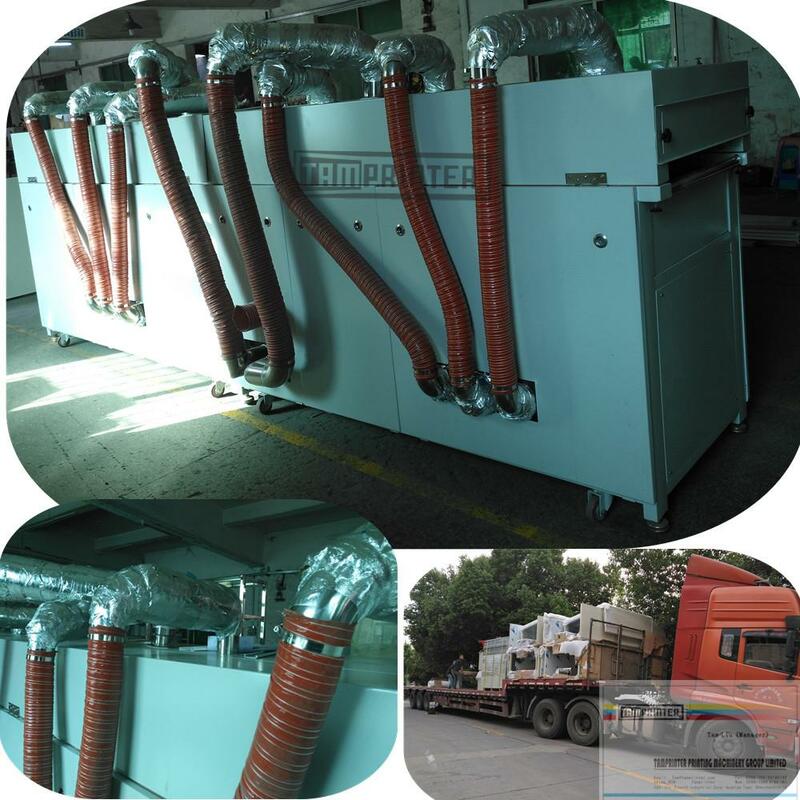 Dry hot stove with stainless steel heating pipe heating air for hot air, clean and sanitary, in line with environmental protection..
Multi-fiber insulation cotton insulation, the use of safe and reliable, long-term high temperature work. Standard type of hot air fan application patented design of the cooling device, air volume adjustment using VDF speed, more energy saving, high controllability, heat loss and other excellent features. Equipped with double overheating overload protection device, fully guarantee the safety of equipment. Set the thermocouple outlet, direct detection, the outlet temperature. Note：All specification, dimension and design will not change if there is not any notice. 1. During transiting (moving or loading and unloading vehicles), machine should be moved by fork-lift and kept the balance. Carry it by carriage or container. 2. Use the enough load capability fork-lift to transit machine. When move the machine, you can ask others to lead the ways and watch the safety. 4. During transiting，it should avoid collision and bad weather. 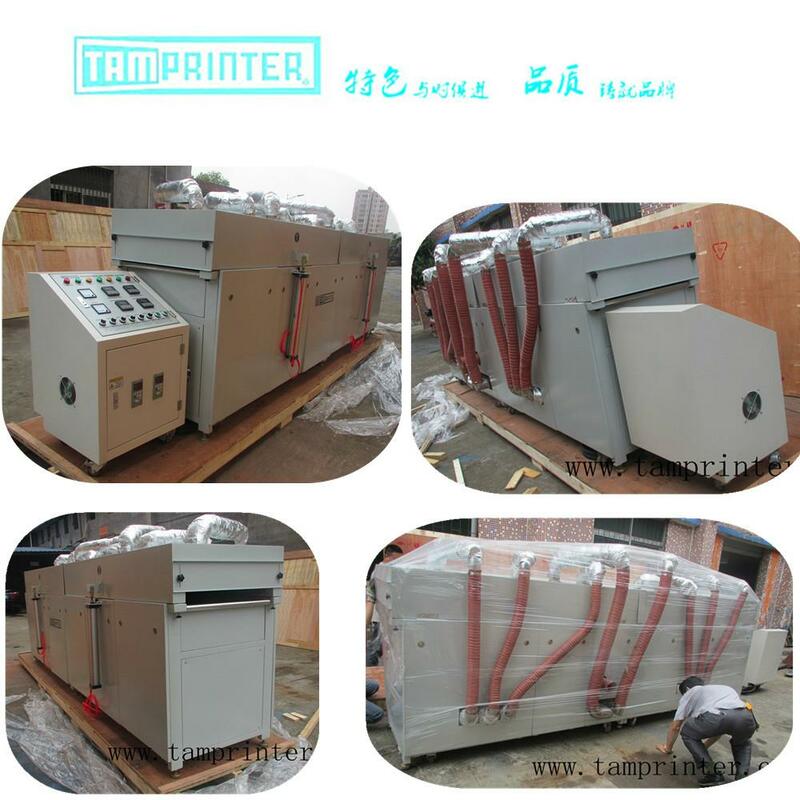 And pay attention to protect the machine’ surface painting from damaging. 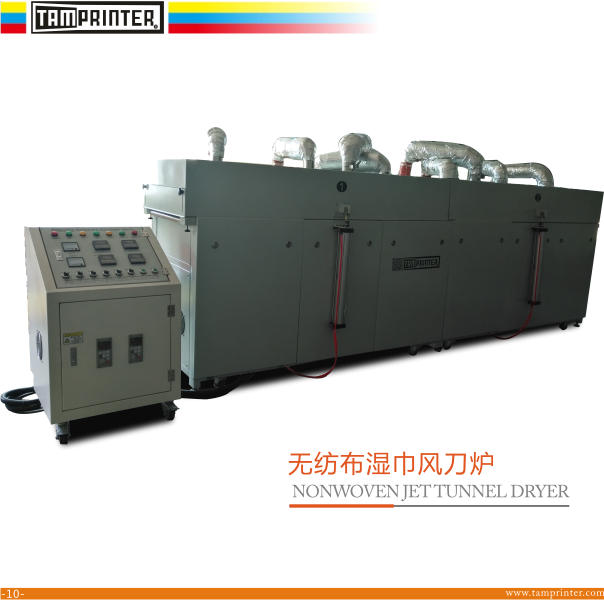 When need to save the machine temporarily, please place it in a dry and room temperature environment. 5. The fork lift must be driven by the experienced driver. 6. The equipment can be moved by push. But be caution the speed. 7. As the installation position plan, choose the proper installation position, and notice to keep enough distance with the surrounding barrier. 8. When install the machine, the machine’s longitudinal and transverse level can be adjusted by the adjusting screw at four corners. 9. If the equipment is damaged or short of parts, please don’t run it. 1．Machine can be moved by fork lift. 2．Fork lift should insert the bottom of the machine. 3．Keep the balance of machine when moving it. When installing the machine, there must be more than 1.5 m distance between the wall and machine. 3m spaces also have to be left for equipment operation. Install this machine in the solid state reinforced concrete, and excess space can be used to place the work piece .When machine installed in the correct place, you can adjust machine longitudinal and transverse level by the adjusting screw at four corners. If the power source’ voltage is not enough, it will affect the motor’s output and the controller’s function. It is very important to use the correct voltage to connect the machine and the power source. And only use the independent power source. 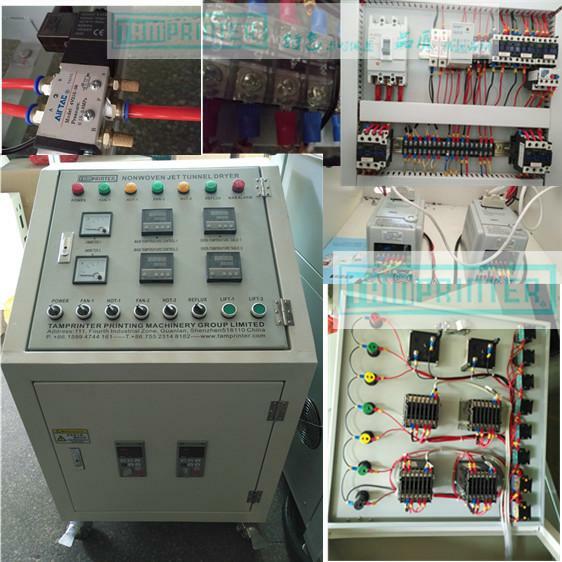 Before connect the power source wire, you must make sure whether the machine voltage is the same as factory’ power source voltage. Connect the wire to L1、 L2、 L3 、N、PE. Machine must be correct grounding so as to prevent from electric shock. Machine should be operated by the qualified electrician. 1．After connect the power source，it is very necessary to check whether the wire are connect to the joints correct. 2． Rotate main switch on electric controller. If not, exchange any two wires connection of three phase line L1, L2, L3. 4. Above operation should be operated by the qualified electrician. During the machine running, if there are any abnormal function occurred; press this button to stop all movement. When resume of this button, first switches all vdf at the min position. 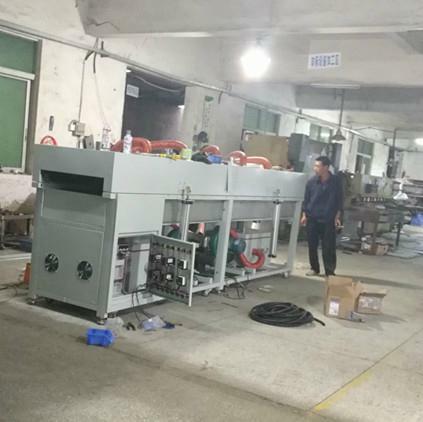 1、Before the first start-up, machinery should be checked whether grounding, then user should pay attention to check whether the grounding line remains firmly grounded everyday. choose to use tape to seal the leaky mouth AIR pipe to avoiding workshop temprature raise. control box are connected, and fan starts to work..
4、Periodically check the electrical wiring for circuit phenomenon.10、Adjust the belt tension on both sides to prevent the belt running to the false way. 5、Having good hygiene, to prevent dust. 6、If there is an imminently hazardous situation, immediately turn off the main power switch, to avoid further accidents.